This is the second of our op-ed features, contributed by David Raichlen, Associate Professor in the School of Anthropology at the University of Arizona. What hunter-gatherers can teach us about exercise. Exercise is beneficial to health. This may be the most obvious statement you will ever read on The Evolution & Medicine Review. But knowing this information does not seem to influence behavior. Less that 5% of adults in the United States regularly meet recommendations for daily physical activity – approximately 150 minutes per week (Troiano et al., 2008). However, simply repeatedly announcing the benefits of regular exercise is not proving a successful strategy for changing our behaviour. So, what would be more effective and can evolutionary medicine help? Recent theoretical work by Daniel Lieberman (Harvard University), has provided much needed nuance to the discussion, allowing us to consider more carefully how an evolutionary perspective may help us alter behavior. In addition, new relevant data are available from work on exercise patterns in modern day hunter-gatherers. With collaborators Brian Wood (Yale University) and Herman Pontzer (Hunter College), I have examined physical activity patterns in people living lifestyles similar, in many ways, to those of our ancestors, and we can use these datasets to help model our physiological evolution. Figuring out how much and what kind of exercise we need requires understanding both our unique evolutionary history, and how patterns of activity in our ancestors may have affected the evolution of human physiology. There is much more evolutionary physiologists need to investigate and debate, in particular how best to apply evolutionary theory to practical prescriptions for the public, but there is also much we already know. To begin, we need to better understand how and why our evolutionary history may lead us to derive physiological benefits from exercise. Daniel Lieberman has written extensively on this topic in his recent book, “The Story of the Human Body”, and in a recent review article, “Is exercise really medicine? An evolutionary perspective”. In these works, Lieberman introduces the perspective that exercise represents a kind of paradox. Nearly two million years ago, humans shifted to a novel hunter-gathering pattern of foraging that required intense aerobic effort to find food. Our physiology has become adapted to respond to this physical activity-induced stress in ways that increase capacity: increased bone mass, and increased vascular elasticity, for example. However, our bodies are also adapted to reduce energy expenditure when possible, through rest or through reductions in physiological capacity. This makes good evolutionary sense since energy expended must be replenished through foraging, and energy not spent on activity can be used to improve reproductive success. However, the longer we remain in sedentary and inactive states, the greater the reductions in those stressors, and consequently we experience reductions in physiological capacity that are often associated in today’s world with morbidity – sarcopenia and cardiovascular disease, for example – and mortality. Thus, Lieberman argues that we are not adapted to exercise for health benefits, per se, but that our physiology is adapted to respond to stress in a dose-dependent way. Paradoxically, reductions in capacity often associated with negative health outcomes today are actually adaptive in an evolutionary sense – all that saved energy, remember, could have been spent by our ancestors on improving their reproductive success. But in modern industrialized societies we gravitate towards the couch when we don’t need to be active, leaving many of us susceptible to chronic diseases associated with physiological capacity reductions including cardiovascular disease, osteoporosis, and perhaps even neurodegenerative diseases (although the jury is still out on this connection). So, while we are not really adapted to exercise for health, our physiological health is improved by the increased capacity that occurs in response to physical activity. If this is the case, then how much exercise do we need to tax our systems in ways that will improve our health and well-being? The answer has remained elusive to public health researchers, with the best response being that some is better than none, and, up to a point, more aerobic exercise is better than less (O’Donovan et al., 2017). However, this is unsatisfying in many ways, and to provide more detailed prescriptions from an evolutionary perspective, we need to have a better understanding of the types of physiological stresses our bodies have been responding to throughout our evolutionary history. We can do this by beginning to look more carefully at physical activity levels in modern groups of hunter-gatherers that are still living in ways that bear some resemblance to the lifestyles of our ancestors. Now come the major caveats. Living hunter-gatherers are not close models of hunter-gatherers in the past. There are differences in lifestyle, food sources, and access to medicine and technology that clearly affect activity and health today. In addition, it is simplistic to assume that patterns of exercise in hunter-gatherers are optimal for humans today. As Lieberman points out, we did not evolve to be healthy, we evolved to be reproductively successful. Thus, patterns of activity in hunter-gatherers may maximize reproductive success at the expense of optimal health. Finally, we did not stop evolving when many human populations left the hunting and gathering lifestyle for agriculture, and later for industrialized societies. Simply engaging in activity levels seen in hunter-gatherers may not be optimal to maintain health, despite the fact that they may be optimal for finding food. With these caveats in mind, we can delve into recent work that sheds light on activity levels in hunter-gatherers and consider how we might use these data to model activity in the evolutionary past and apply these studies to life today. For many years, researchers have used observational data to estimate activity levels in modern day hunter-gatherers. However, these factorial-type models are notoriously inaccurate. Recent advances in wearable technologies have allowed physiologists to gain a more detailed perspective on activity levels in hunter-gatherers. 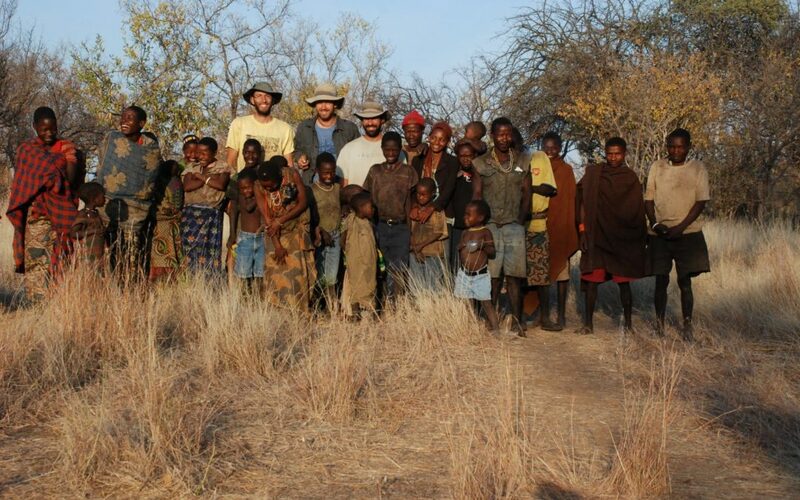 Along with Herman Pontzer (Hunter College) and Brian Wood (Yale University), I have had the good fortune to work with the Hadza – hunter-gatherers living in Northern Tanzania. The Hadza inhabit a highly seasonal woodland-savannah habitat, composed of rocky, uneven terrain, and dominated by Acacia, Commiphora, and Baobab trees. The individuals we work with capture nearly all of their food from wild resources, including hunting large and small game, and gathering honey, tubers, berries, baobab fruit, and other plant foods (Marlowe, 2010). This lifestyle requires considerable movement during the day to hunt and gather foods, to collect water, to gather firewood, and to make social visits to neighboring camps (Marlowe, 2010; Pontzer et al., 2012; Raichlen et al., 2014). In a recent study, we tracked physical activity using heart rate monitors attached to chest straps. 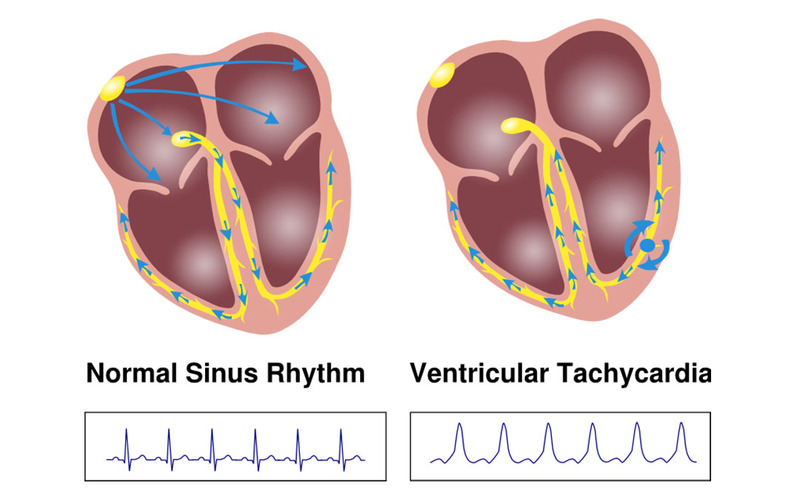 This technique allowed us to determine how much time the Hadza spent in activities that stress their cardiovascular system. We know from experimental and epidemiological work that most health benefits accrue from exercise at moderate-to-vigorous intensity levels (moderate-to-vigorous physical activity or MVPA) accumulated in bouts of 10 minutes or more. We defined these by heart rate as a percentage of age-adjusted maximum heart rate (MVPA = 55-89% of max HR). We found that the Hadza spent about 75 minutes per day in MVPA, mostly in the moderate range of 55-69% of max HR. By contrast, humans in the US spend about 10 minutes per day, on average, in MVPA. US Department of Health and Human Services recommends adults average 150 minutes of MVPA per week. The Hadza meet US guidelines in just two days! What’s more, these patterns hold across both age and gender. What is also noteworthy, however, is that the Hadza spend a great deal of time resting as well. It seems that when they rest, they rest, and when they move, they are moving at moderate-to-vigorous intensities. What does this mean for our evolutionary perspective? It does not suggest that we evolved to get 75 minutes/day of MVPA, nor does it mean that we can generate a hunter-gatherer workout in the same way that mimicking hunter-gatherer diets (i.e. the PaleoDiet) is a misguided application of evolutionary thinking to health. However, I believe that studies like ours can help us understand exercise in a health context in two important ways. First, data from these studies can provide a new context to scientific explorations of exercise. Some people might be motivated to engage in exercise once they develop a deeper understanding of the ultimate evolutionary mechanisms underlying why exercise is so beneficial to human health. Second, these types of studies can point to novel directions for experimental research. This dataset provides a new way to view the types of activity-induced stresses experienced by hunter-gatherers, and therefore, model the types of stresses that may have increased physiological capacity during our evolutionary history. What we can take from our view of hunter-gatherers is that they are highly active, except when they are not. That is, when they are active, they seem to be engaged in activity at moderate to vigorous intensities, rather than lower intensity activity. This differs greatly from what we see in studies of adults living in industrialized societies, where much of our physical activity is registered at low intensities. Thus, we might consider interventions that increase the intensity of everyday activities into the moderate-to-vigorous range. This is a fruitful area of experimental and epidemiological research, and one that may have a stronger impact on public health than repeated recommendations to achieve 150 minutes/week of aerobic exercise. For example, researchers have already begun to show that short bouts of MVPA can be beneficial to health (Glazer et al., 2013). By designing interventions that encourage people to walk faster during everyday activities- from their car to the store, for example – we might be able to have a positive impact and encourage people to stress their physiology in ways that are central to our evolutionary biology. In this way, evolutionary models of physical activity can play a key role in directing areas of research in exercise physiology and perhaps providing novel recommendations to improve public health. Future work should continue to expand our definitions of exercise and include evolutionary perspectives that may drive experimental interventions. Glazer, N. L., Lyass, A., Esliger, D. W., Blease, S. J., Freedson, P. S., Massaro, J. M., … & Vasan, R. S. (2013). Sustained and shorter bouts of physical activity are related to cardiovascular health. Medicine and science in sports and exercise, 45(1), 109-115. Lieberman, D. (2013). The story of the human body: evolution, health, and disease. Vintage. Lieberman, D. E. (2015). Is exercise really medicine? An evolutionary perspective. Current sports medicine reports, 14(4), 313-319. Marlowe, F. (2010). The Hadza: hunter-gatherers of Tanzania (Vol. 3). Univ of California Press. Raichlen, D. A., Wood, B. M., Gordon, A. D., Mabulla, A. Z., Marlowe, F. W., & Pontzer, H. (2014). Evidence of Lévy walk foraging patterns in human hunter–gatherers. Proceedings of the National Academy of Sciences, 111(2), 728-733. Raichlen, D. A., Pontzer, H., Harris, J. A., Mabulla, A. Z., Marlowe, F. W., Josh Snodgrass, J., … & Wood, B. M. (2017). Physical activity patterns and biomarkers of cardiovascular disease risk in hunter‐gatherers. American Journal of Human Biology. Troiano, R. P., Berrigan, D., Dodd, K. W., Mâsse, L. C., Tilert, T., & McDowell, M. (2008). Physical activity in the United States measured by accelerometer. Medicine and science in sports and exercise, 40(1), 181. After solanezumab – where does Alzheimer’s disease research go from here? A few weeks ago, pharmaceutical giant Eli Lilly announced that their latest Phase II trial for a drug named solanezumab, which is designed to flush beta-amyloid protein out of the brain and thereby ameliorate the symptoms of Alzheimer’s disease, had been a failure. This is a huge blow to conventional Alzheimer’s disease research because it comes on the back of more than a decade’s-worth of failed trials for drugs that either interfere with the chain of enzymatic reactions that make beta-amyloid, or remove it from the brain. Most of these trials were done with patients who were already in the advanced stage of the disease, and it may be too much to expect any treatment to be successful in the face of such widespread neuronal degeneration. This has led to research initiatives to identify cohorts of patients either in much earlier stages of Alzheimer’s disease, or of young, symptomless age but related to individuals who had succumbed to the familial, early-onset form of the disease. This solanezumab trial used patients with only mild cognitive impairment and yet it showed no statistical improvement in cognition in treated patients over placebo controls. 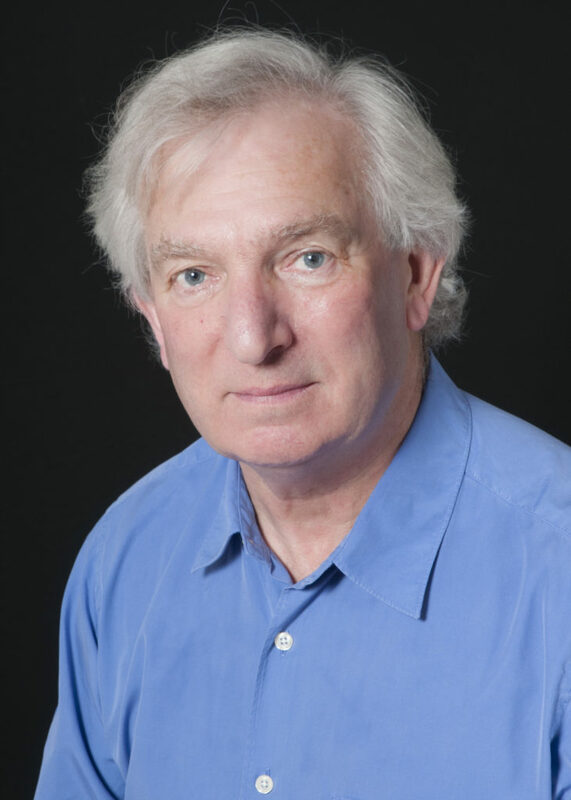 However, importantly, Bob Terry won the Potemkin neuroscience prize back in 1988 for counting cortical synapses from normally aged and Alzheimer’s diseased brains and showing that there were only weak correlations between density of plaques and tangles and psychometric tests of intelligence but much stronger correlations between those tests and synapse density. He further showed that loss of synapses was independent of the presence of amyloid in diffuse plaques and concluded that amyloid deposition was the result of synapse pathology, not the cause. Alzheimer’s disease was a disease of synapses, not of amyloid. Several respected science communicators, including George Perry of the University of Texas, have accused the so-called amyloid lobby of persevering with amyloid and tau for no better reason than the fact that, ever since the days of the eponymous pioneer of neurodegenerative brain research Alois Alzheimer, amyloid plaques and tau tangles have been visible in brains via microscopy or medical imaging. Nevertheless, the amyloid lobby continues to test their hypothesis to destruction in trials still underway which administer anti-amyloid drugs to individuals thought to be at risk of Alzheimer’s disease well before any cognitive decline registers itself. They are trying to intervene at ground zero. But, in the search for the initial pathology of Alzheimer’s disease, will we find that beta-amyloid and tau are even relevant? What other processes and agents deserve much greater attention? What really causes these brains to start dying in a more profound and accelerated way than can be laid at the door of the normal ageing process? The more I read about research into Alzheimer’s disease the more I am reminded of the old Indian parable of the blind men and the elephant. Twelve blind men are stood around the beast at intervals and are requested to describe and identify it based only on what they can make of the small portion of its anatomy that lies within their hands’ grasp. Of course, none of them can take on board what the others are feeling, there is no overall picture, and so they end up in total disagreement, and in no little ignorance as to what the beast actually looks like. Let us think about amyloid a little further. We know it is present in neurons because it has a clearly defined evolved function in regulating transmission of impulses along neuronal networks – supporting long term potentiation, which is involved in the storage of memory at synapses, and regulating over-excitation within neural networks. And it is commonly asserted that the slightly longer-chain Aß-42 molecules are more toxic than Aß-40 and only when they form into certain types of oligomers. Rebecca Rosen et al, in a paper titled “Comparative Pathobiology of Aβ and the Unique Susceptibility of Humans to Alzheimer’s Disease”, question why it is that humans appear uniquely susceptible to the neurodegeneration and dementia of Alzheimer’s disease despite the fact that all primates deposit copious Aß in senile plaques and accumulate cerebral amyloid-β angiopathy as they grow old. And despite the fact that the amino-acid sequence of beta-amyloid is identical in all primates – including humans – so far studied. Also, transgenic rodent models engineered to overproduce human-sequence beta-amyloid develop profuse senile plaques and cerebral amyloid-β angiopathy, but they do not have substantial AD-like neuronal cell loss, neurofibrillary tangles, and profound memory impairment. They conclude with the possibility that the only between-species differences they could find – subtle differences in the tertiary structure of beta-amyloid – the three-dimensional geometry of protein chain folding – might explain why beta-amyloid is toxic to humans but not to any other species. But dissecting beta-amyloid in ever increasing detail like this still leaves us with the fundamental question: Is it the accumulation of beta-amyloid into plaques, and the subsequent formation of hyper-phosphorylated tau protein tangles inside neurons, that are the initiating events for Alzheimer’s disease, or not? Here it is important to distinguish between familial Alzheimer’s disease and sporadic Alzheimer’s disease. The former represents less than 5% of all AD cases and is caused by well-known mutations to genes like APP or the presenilins, which are involved in the chain of enzymatic reactions that form beta-amyloid. If you bear any of these mutations you will succumb to the disease – it is deterministic. The vast majority of cases of Alzheimer’s are the sporadic form which tells us that, whatever genes might be involved, the environment is a major factor. Central to this observation is the establishment, over the last 20 or 30 years, that no satisfactory answer to the riddle of Alzheimer’s disease will ever be found unless we take the role of the immune system, and the inflammation caused by innate immunity, into account. A number of researchers hold that, while inflammation is an important factor in Alzheimer’s disease, it is secondary to the production of amyloid and tau in the brain. 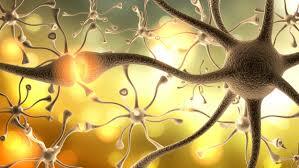 That it is the production of amyloid and tau that elicits inflammation. But it looks increasingly likely that the opposite is true. Back in the 1980s, Sue Griffin used Down syndrome to investigate Alzheimer’s disease. Down syndrome brains accumulate amyloid at premature age because of the extra copy of chromosome 21 on which the APP gene sits. 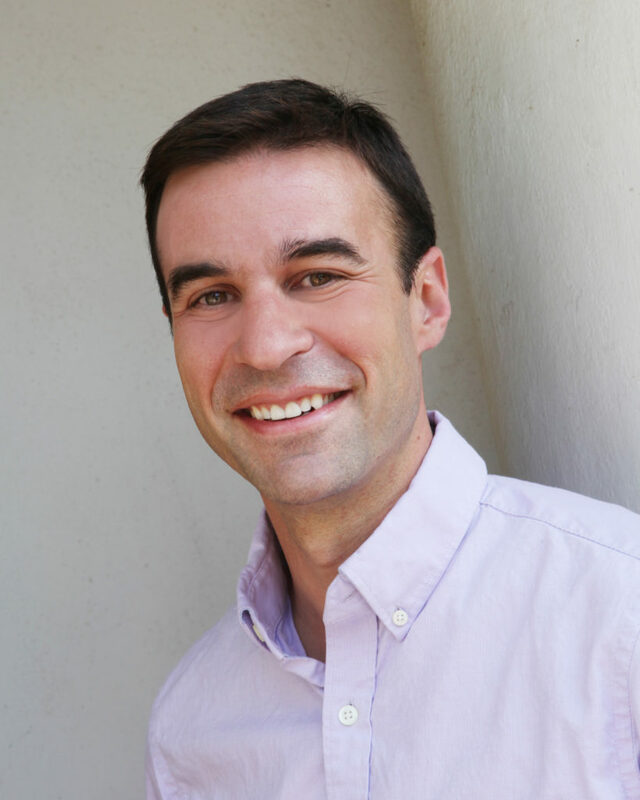 Nevertheless, Griffin showed that Down syndrome brains produce large amounts of the inflammatory cytokine interleukin-1 (IL-1) many years before plaque formation, suggesting that stressed neurons lead to inflammation and innate immune activity in the brain, production of inflammatory markers, and eventually excess amyloid and tau. The importance of innate immune system activity in the brain was heavily underscored a few years ago by 3 genome-wide association studies which found no effect for the main genes involved in the pathways that form beta-amyloid and tau, but were dominated by genes involved in the immune system. Research by Clive Holmes and Hugh Perry in Southampton has established that peripheral infection can send signals to the brain which accelerate immune activity there, heighten the symptoms of Alzheimer’s disease, lead to cognitive deficits, and prime microglia – the brain’s immune cells and the equivalent to macrophages – so that they are capable of attacking and damaging neurons. Their research has been borne out in a mouse model by Irene Knuesel and Dimitrij Krstic which mimicked peripheral viral infections and showed increases in inflammatory mechanisms in the brain, priming of microglia, degenerating neurons and only then production of amyloid and tau. What key events occur at the synapse years before any signs of cognitive impairment begin to emerge? Some researchers believe that beta-amyloid is the prime culprit in these early days but their work is countered by fascinating evolution-minded research by Beth Stevens at Harvard and her former colleague Ben Barres. Picking up from those earlier conclusions that synapse loss correlates better than amyloid with AD cognitive symptomatology, Hong et al (co-authors include Stevens, Barres and Dennis Selkoe) show in a series of mouse models that another major part of the innate immune system – complement – together with immune cells called microglia – are heavily involved in initiating events at the synapse that precede amyloid deposition. The initiating protein of the complement cascade – C1q – is first associated with synapses and experiments that inhibit it show that C1q is necessary for any toxic effect of beta-amyloid on synapse function and long-term potentiation in the hippocampus. Similarly, when the complement receptor CR3 is silenced on microglia they stop phagocytically engulfing synaptic material. Stevens, Barres, and their associates remind us that evolution has co-opted the complement cascade as the mechanism by which neural networks are adaptively pruned during adolescence and brain development and as a response to later learning. C1q paints synapses that are scheduled for demolition and reacts with proteins on these cell surfaces to form the complement protein C3 which is recognised by CR3 on microglia which then steam in for the kill. Most of the body’s cells are protected against this unwanted intrusion by complement because they are bristling with complement inhibitors. Neurons are the exception. They lack these inhibitors for the very reason that they have to be open to complement attack otherwise selective pruning could never occur. It is an Achilles heel which shows up in late-onset Alzheimer’s disease because Stevens, Barres et al believe the roots of Alzheimer’s disease are laid when this evolved method for synaptic pruning is re-awakened maladaptively in later life. It may be, they say, that soluble beta-amyloid has a role here in that it could bind to synapses and weaken them, providing the complement cascade with a signal for elimination. Not surprisingly, in the light of all this, a group of scientists in the UK, led by Prof. Paul Morgan of Cardiff University, have published research which suggests that complement proteins can provide reliable early markers for onset of Alzheimer’s disease, specifically to allow physicians to distinguish between individuals with mild cognitive impairment who will convert to Alzheimer’s from those who will not. The gene that we know for sure increases your chance of contracting Alzheimer’s by up to ten times is a variant of APOE – epsilon 4. And while APOE is involved with a number of processes in the brain that also involve beta-amyloid, there are a number of other Alzheimer’s producing processes in which APOE4 acts independently. Because it is involved in cholesterol transport, APOE is vital for maintaining neurons and their synapses, and the epsilon 4 variant impairs this. Carriers of APOE4 have thinner entorhinal cortices and hippocampi, and APOE4 frequently increases inflammation in the brain and primes toxic microglia. It is known that another variant of APOE – epsilon 2, is protective of Alzheimer’s disease and it was assumed that APOE2 carriers with somewhat preserved cognition would consequently be found to have been relatively free of amyloid pathology. But the group who run the 90+ Study at UC Irvine have discovered that while, in the oldest-old, the presence of APOE2 was associated with a somewhat reduced risk of dementia, it was also, paradoxically, associated with increased AD neuropathology. Therefore, they conclude, oldest-old APOE2 carriers may have some mechanism that contributes to the maintenance of cognition independently of the formation of AD pathology and specifically note that APOE2 carriers have preserved synaptic function. It is too early to abandon the so-called amyloid hypothesis. Soluble beta-amyloid or oligomers of beta-amyloid 42, and aberrant tau protein, are clearly neurotoxic and important. But they may not be instigatory. The amyloid hypothesis, at the very least, is undergoing substantial revision as the long history of blinkered over-attention to tell-tale plaques and tangles gives way to the nuances of environmental factors and innate immune responses in brain and body and the important distinctions between early-onset familial AD and the majority late-onset sporadic AD come home to roost. In the following two commentaries, Caleb Finch draws attention to the possible role of smoking and atmospheric pollution, while Robert Moir rehabilitates the amyloid “bad boy” by showing its evolved importance as a potent antimicrobial – thereby opening the door to a possible infection etiology for Alzheimer’s disease. 35 million people world-wide are living in the twilight world of Alzheimer’s disease without the ghost of a cure in sight, despite the investment of many billions of dollars. We owe it to these Alzheimer’s sufferers – in the US alone a new case gets diagnosed every 68 seconds – to broaden the church of AD research in such ways – and allow this new research to present effective targets for treatment. It is long overdue. Antibiotics as panacea, or as opening Pandora’s box? 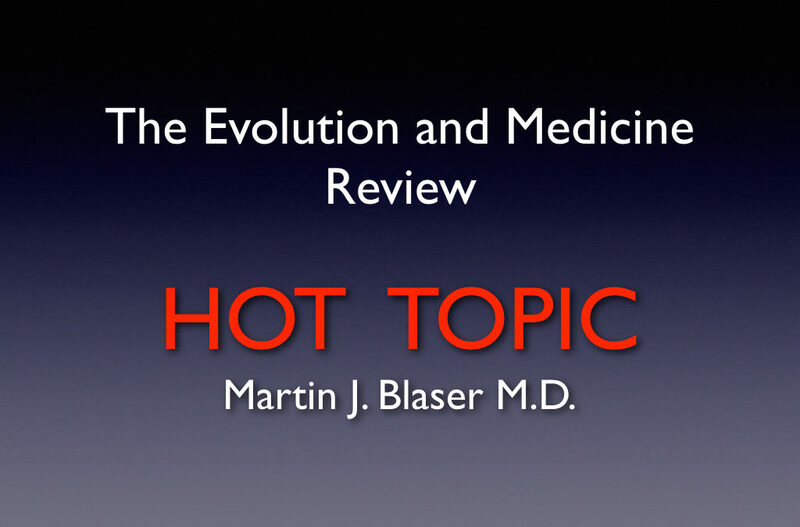 Welcome to HOT TOPIC, Evmedreview’s latest special feature of compelling, in-depth articles from major voices in the field of evolutionary medicine, highlighting urgent problems in the world of medicine today that evolutionary medicine has either identified, or upon which it is shedding some new light, and where it may be able to contribute to solutions. This inaugural article is written by Prof. Martin J. Blaser, of the New York University School of Medicine. We have known for some time that overuse of antibiotics can lead to multiple antibiotic resistance. But Blaser here draws our attention to, and describes in fine detail, the way in which over-prescription of antibiotics is gradually depleting human microbiomes and may be seeding a generation-by-generation growth of a wide spectrum of life-shortening diseases in our children. Scroll to the end to see the interesting comments and add your own now, or send us a potential post at editors@evmedreview.com. The long-term risks of antibiotic treatment in childhood: Antibiotics as panacea, or as opening Pandora’s box? The development of antibiotics was one of the greatest discoveries of the 20th century, and arguably the most important in the field of medicine and health (1). Not only can antibiotics be used to treat diseases that were previously untreatable, but they provide the safety net without which surgery, chemotherapy for cancer, and transplantation would have markedly heightened risk or be impossible. In consequence, essentially since their widespread introduction in the years following World War II, the notion that antibiotics are miraculous has been a part of the general idiom, to both health professionals and the public alike. Thus, not surprisingly, antibiotics have been used more and more, for all manner of purposes—in the clinic, on the farm, in the aquarium. Their direct use in people worldwide was estimated at more than 70 billion doses annually (2), or 10 doses for every man, woman, and child on Earth. In the United States, about 262 million courses were used in 2011, a rate of 842/1000 population (3), more than five courses for every six people. For young children, rates are even higher, estimated as 1.35/year for US children in the first 2 years of life, representing nearly 3 courses during that time, and about 10 courses by the age of 10 (4). 2. Bacteria, our ancient companions, as our partners. Bacteria were here first on this planet, evolving about 4 billion years ago. All known forms of life evolved from bacteria. Further, all of this subsequent life evolved in the presence of bacteria. Thus, the very existence of all plants and animals on earth is based on their ability to control or harness adjacent bacteria, whether in or on them or nearby. All animal species have their own unique residential microorganisms. These organisms, which we refer to as the microbiota, live in and on their host, and when the intersecting metabolic pathways of microbes and host are included, the constellation has been referred to as the microbiome. In large hosts like humans, each of the multiple physiologic niches includes its own microbiome. In animals, there is an important vertical component to the inheritance of each host’s microbiome. Stated differently, in addition to our human genome that we inherit from our parents, each of us inherits much of our microbiome from our mother. Recent studies of primates show strong co-speciation of hosts and microbes, representing a span of about 15 million years of hominid evolution (5, 6). This is consistent with studies more broadly across mammals, illustrating similar conservation over even longer time spans (7). Thus, the genes we inherit from mom are not just human genes, but they are microbial. Viewed in this way, our microbiome represents a portion of our individual genetic endowment, as well as a component of our gene pool (8). The tension between vertical (8) and horizontal transmission of our microbiome is important, but most current data suggest that among long-term microbial residents, vertical predominates (9). One further point is that even though babies inherit much of their vast microbiota from mom, the initial community structure is quite different from that of adults. However, by the age of 3 years, it becomes much more adult-like in its structure (10). Thus, the first three years of life are when the predominantly vertically acquired microbiome is developing its adult form. It is also the time when babies are developing their immunity, metabolism, and cognition. As such, the first three years of life are a most critical time for human development. One hypothesis is that the development of a normally maturing microbiome affects physiological processes in salutary ways. We can conceive of a situation in which the initial microbiota may provide contextual instructions to the immune system to distinguish between self and non-self, adding the nuances of grey to a black/white dichotomy. Similarly, the infant must lay down the appropriate amount of adipose tissue, appropriate to its nutritional milieu, that will optimize the relationship between energy utilization and storage that will be a determinant of reproductive success. For example, if a young individual builds greater capacity for energy storage, it can better survive famines, but if it puts more into muscle and bone, it can fight and hunt better; this is a classical trade-off. Similarly, in social animals, the brain of the growing infant must set a cognitive pathway about how open or closed to interpersonal signaling they will be as they mature. There is widening evidence that the early life microbiome is a participant in the dialogue that determines how the host makes these immunologic, metabolic, and cognitive decisions. But the developing microbiome, crucial in the early life window of development, has limited resilience, and is vulnerable to perturbation (8, 11). 3. How antibiotics affect our bacterial partnerships. We can especially focus on antibiotics as key agents causing micro-ecological change, because their use is so pervasive. Antibiotics were generally designed and used to eliminate single pathogens causing infections; doses were selected to achieve blood levels that inhibit the pathogen’s replication. However, there was little or no consideration of their effects when applied to the diverse microbiota colonizing each host. Such interactions were considered to be off-target, and in the short-term were generally mild, causing GI tract upset, skin rashes, or overgrowth by yeasts, for example. Usually there were no clinical effects at all. It was this apparent safety that lulled professionals and lay-people alike into what we have called ‘antibiotic sleep’ (12). Yet the question remained, could off-target effects have long-term consequences? Paradoxically, the answer came 70 years ago, near the beginning of the antibiotic era with strong evidence, and yet until recently it was missed (13, 14). The answers came from the practices of farmers who recognized that feeding antibiotics (generally in low doses for prolonged time periods) to their livestock promoted their growth (15). These widespread and extensively validated effects indicate that exposure to antibiotics changed the development of the recipients. It was a profound point, but the larger implications for human health were missed. Antibiotics worked in cows, swine, fish, chickens, and turkeys, among other species. This is a wide swath of vertebrate evolution. That it was not host species-specific indicated that the antibiotic exposure affected a broad and common principle. Virtually any anti-bacterial agent was effective, regardless of chemical composition, class, structure, or spectrum, but anti-virals and anti-fungals had no effects. The same anti-bacterial agents worked across multiple animal species, indicating that it was their anti-bacterial effects, not any specific activities of each compound that were the key to their effectiveness. Importantly, the younger the animals were when the antibiotics were started, the greater the effects—on growth rate, and on feed efficiency—the ability to convert food calories into body mass, which after all is what farmers are trying to do. This indicates that the process affected is developmental. Conversely, the later in life it was started in the animals, the lower the effect. This observation provides evidence that there may be a crucial ‘window’, the period of time during which an animal is susceptible to the antibiotic effects. Agents given orally were more effective for growth promotion than those given parenterally. Long-term health risks from perturbing our bacterial partnerships during childhood. Taken together, these observations point to the importance of the bacteria of the gastrointestinal tract, across animal species, early in life, as the principal targets of the antibiotics, and as the principal intermediates to explain the efficacy of growth promotion. My laboratory has conducted studies in experimental animals that indicate that antibiotic use perturbs the intestinal microbiota and that it is the altered microbiota that is both necessary and sufficient to confer the effects on growth and metabolism (16-19). Parallel studies in other mouse models indicate activities that affect immunological development and disease (20). In total, these observations are consistent with a role for antibiotics in the rise of many diseases that have their origins in childhood that are affected by altered immunological, metabolic, or cognitive processes. These include (but are not limited to) disorders that are primarily metabolic (obesity and type-2 diabetes), immunologic (asthma, allergies, juvenile (type-1) diabetes, inflammatory bowel disease), and cognition (autism and attention deficit disorder). These in fact are many of the diseases that have increased in incidence or have become epidemic around the world in recent decades. With this theoretical and experimental background, a growing body of epidemiologic studies of human children have addressed the question of whether in fact antibiotic exposures are associated with the later development of these diseases. In brief, although the many studies differ in the diseases studied, their size, locales, definitions used, study designs, and statistical tools, there is substantial consistency showing positive associations (21-33). Based on the totality of the evidence, I believe that we will find that every dose of an antibiotic given to young children has a delayed cost. For example, there might be an x% cost of asthma, y% cost of juvenile diabetes, and z% cost of inflammatory bowel disease. Each exposure might confer multiple costs, and my theory is that the costs are cumulative across exposures. However, we do not yet know what is the critical age window, nor the amounts for x, y, and z. Yet data are beginning to clarify the picture. A recent large study, involving all Danish children born over a nine-year period, showed that each antibiotic course was associated with an 18% increase in the risk of childhood-onset Crohn’s disease compared to untreated controls (23). In several epidemiological studies, the highest risks for later illnesses were associated with exposures in the first six months of life (26, 27), which is not surprising. It is likely that the exact costs will vary in different populations, reflecting the nature of the status quo ante microbiome, which varies across populations (10, 34, 35), effects of maternal pre-partum antibiotics (36, 37), the extent of Cesarean delivery (21-25), the specific antibiotics used (38), and the particular disease risk of highest concern. Further, variations in health outcome may also occur because a perturbed microbiome is not the only factor driving to disease. Damage down the generations, and solutions. Finally, and perhaps most worrisome is that antibiotics given in one generation might affect the health in the next and future generations. We already know that certain medicines given during pregnancy can adversely affect the health of the next generation. There is growing evidence of associations of maternal antibiotic use with particular outcomes (36, 37, 39, 40). However, this must be clearly sorted out since any observed associations might reflect the underlying infections for which the antibiotics were given. Yet, antibiotic use during pregnancy and even before (36, 37) will impact the maternal microbiome, just before the hand-off to the next generation. The girls of today are the mothers of tomorrow, and antibiotic exposures have the potential to affect their microbial compositions in permanent ways. It is important to reiterate that antibiotics are not the only factor that could affect the early life microbiota development and transfer to the next generation. Others include a variety of modern foods and food additives (e.g. emulsifiers, artificial sweeteners) (41, 42), and practices related to pregnancy and delivery (e.g. prophylaxes, Cesarean section, antibacterial washes). We have hypothesized that the changes in microbiome are cumulative across recent human generations, reflecting a stepping down in biodiversity (14). If this is correct, and evidence is accumulating that it is (10, 34, 43-45), then we must halt the decline, and reverse it through restorative steps (35). I predict that the health practices of the future will involve restoring particular “missing microbes” to young children, based on the microbial needs of all children, and the needs of that specific child (46, 47). In any event, the doctors of the future will need to take into consideration antibiotic cost data vis a vis the potential benefits in making therapeutic decisions. There are many infections that must be treated, but also a large number for which the benefit is marginal or nil. As in so many other areas of medicine, doctors will need to calculate potential benefit versus potential risk in the patient sitting in front of them, considering the future as well. As our knowledge of the costs becomes more precise, this will become increasingly necessary. We must alter our views of the “antibiotic umbrella”, under which most of medicine is conducted. Doctors will have to improve their clinical skills to minimize antibiotic exposures unless necessary. There already is enormous heterogeneity in prescribing practices (3, 48-50), so some doctors already are there, while others lag substantially. In Sweden, per capita antibiotic use is about 40% of that in the USA (51), so change is not impossible. But change we must. Acknowledgments. Supported by R01DK090989 and U01AI22285 from the National Institutes of health, and by the Ziff Family, Knapp, and the C & D funds. I thank Tiffany Archuleta and Joyce Ying for bibliographic support. M. Burnet, in Natural History of Infectious Disease. (Cambridge University Press, New York, 1953). T. P. Van Boeckel et al., Global antibiotic consumption 2000 to 2010: an analysis of national pharmaceutical sales data. The Lancet. Infectious diseases 14, 742 (Aug, 2014). L. A. Hicks et al., US outpatient antibiotic prescribing variation according to geography, patient population, and provider specialty in 2011. Clinical infectious diseases : an official publication of the Infectious Diseases Society of America 60, 1308 (May 1, 2015). L. N. Segal, M. J. Blaser, A brave new world: the lung microbiota in an era of change. Annals of the American Thoracic Society 11 Suppl 1, S21 (Jan, 2014). H. Ochman et al., Evolutionary relationships of wild hominids recapitulated by gut microbial communities. PLoS biology 8, e1000546 (Nov 16, 2010). A. H. Moeller et al., Cospeciation of gut microbiota with hominids. Science (New York, N.Y.) 353, 380 (Jul 22, 2016). R. E. Ley, C. A. Lozupone, M. Hamady, R. Knight, J. I. Gordon, Worlds within worlds: evolution of the vertebrate gut microbiota. Nature reviews. Microbiology 6, 776 (Oct, 2008). N. A. Bokulich et al., Antibiotics, birth mode, and diet shape microbiome maturation during early life. Science translational medicine 8, 343ra82 (Jun 15, 2016). J. K. Goodrich et al., Human genetics shape the gut microbiome. Cell 159, 789 (Nov 6, 2014). T. Yatsunenko et al., Human gut microbiome viewed across age and geography. Nature 486, 222 (May 09, 2012). M. Yassour et al., Natural history of the infant gut microbiome and impact of antibiotic treatment on bacterial strain diversity and stability. Science translational medicine 8, 343ra81 (Jun 15, 2016). T. Rees, M. Blaser, Waking up from antibiotic sleep. Perspectives in public health 136, 202 (Jul, 2016). M. J. Blaser, Who are we? Indigenous microbes and the ecology of human diseases. EMBO reports 7, 956 (Oct, 2006). M. J. Blaser, S. Falkow, What are the consequences of the disappearing human microbiota? Nature reviews. Microbiology 7, 887 (Dec, 2009). W. Visek, The Mode of Growth Promotion by Antibiotics. Journal of Animal Science 46, 1447 (1978). I. Cho et al., Antibiotics in early life alter the murine colonic microbiome and adiposity. Nature 488, 621 (Aug 30, 2012). L. M. Cox et al., Altering the intestinal microbiota during a critical developmental window has lasting metabolic consequences. Cell 158, 705 (Aug 14, 2014). Y. R. Nobel et al., Metabolic and metagenomic outcomes from early-life pulsed antibiotic treatment. Nature communications 6, 7486 (Jun 30, 2015). D. Mahana et al., Antibiotic perturbation of the murine gut microbiome enhances the adiposity, insulin resistance, and liver disease associated with high-fat diet. Genome medicine 8, 48 (Apr 27, 2016). A. E. Livanos et al., Antibiotic-mediated gut microbiome perturbation accelerates development of type 1 diabetes in mice. Nature microbiology 1, 16140 (Aug 22, 2016). D. Y. Han, A. G. Fraser, P. Dryland, L. R. Ferguson, Environmental factors in the development of chronic inflammation: a case-control study on risk factors for Crohn’s disease within New Zealand. Mutation research 690, 116 (Aug 7, 2010). 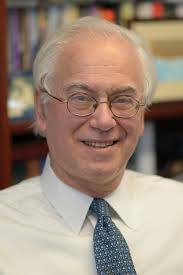 S. Y. Shaw, J. F. Blanchard, C. N. Bernstein, Association between the use of antibiotics in the first year of life and pediatric inflammatory bowel disease. The American journal of gastroenterology 105, 2687 (Dec, 2010). A. Hviid, H. Svanstrom, M. Frisch, Antibiotic use and inflammatory bowel diseases in childhood. Gut 60, 49 (Jan, 2011). C. Canova et al., Association of maternal education, early infections, and antibiotic use with celiac disease: a population-based birth cohort study in northeastern Italy. 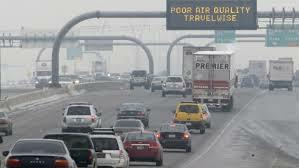 American journal of epidemiology 180, 76 (Jul 1, 2014). K. Marild, C. R. Kahrs, G. Tapia, L. C. Stene, K. Stordal, Infections and risk of celiac disease in childhood: a prospective nationwide cohort study. The American journal of gastroenterology 110, 1475 (Oct, 2015). L. Trasande et al., Infant antibiotic exposures and early-life body mass. International journal of obesity (2005) 37, 16 (Jan, 2013). A. Saari, L. J. Virta, U. Sankilampi, L. Dunkel, H. Saxen, Antibiotic exposure in infancy and risk of being overweight in the first 24 months of life. Pediatrics 135, 617 (Apr, 2015). T. A. Ajslev, C. S. Andersen, M. Gamborg, T. I. Sorensen, T. Jess, Childhood overweight after establishment of the gut microbiota: the role of delivery mode, pre-pregnancy weight and early administration of antibiotics. International journal of obesity (2005) 35, 522 (Apr, 2011). L. C. Bailey et al., Association of antibiotics in infancy with early childhood obesity. JAMA pediatrics 168, 1063 (Nov, 2014). R. Murphy et al., Antibiotic treatment during infancy and increased body mass index in boys: an international cross-sectional study. International journal of obesity (2005) 38, 1115 (Aug, 2014). C. A. Mbakwa et al., Early Life Antibiotic Exposure and Weight Development in Children. The Journal of pediatrics 176, 105 (Sep, 2016). B. S. Schwartz et al., Antibiotic use and childhood body mass index trajectory. International journal of obesity (2005) 40, 615 (Apr, 2016). F. I. Scott et al., Administration of Antibiotics to Children Before Age 2 Years Increases Risk for Childhood Obesity. Gastroenterology 151, 120 (Jul, 2016). J. C. Clemente et al., The microbiome of uncontacted Amerindians. Science advances 1, (Apr 03, 2015). M. J. Blaser, Antibiotic use and its consequences for the normal microbiome. Science (New York, N.Y.) 352, 544 (Apr 29, 2016). J. Metsala et al., Prenatal and post-natal exposure to antibiotics and risk of asthma in childhood. Clinical and experimental allergy : journal of the British Society for Allergy and Clinical Immunology 45, 137 (Jan, 2015). J. Metsala et al., Mother’s and offspring’s use of antibiotics and infant allergy to cow’s milk. Epidemiology (Cambridge, Mass.) 24, 303 (Mar, 2013). K. Korpela et al., Intestinal microbiome is related to lifetime antibiotic use in Finnish pre-school children. Nature communications 7, 10410 (Jan 26, 2016). N. T. Mueller et al., Prenatal exposure to antibiotics, cesarean section and risk of childhood obesity. International journal of obesity (2005) 39, 665 (Apr, 2015). M. B. Azad, S. L. Bridgman, A. B. Becker, A. L. Kozyrskyj, Infant antibiotic exposure and the development of childhood overweight and central adiposity. International journal of obesity (2005) 38, 1290 (Oct, 2014). J. Suez et al., Artificial sweeteners induce glucose intolerance by altering the gut microbiota. Nature 514, 181 (Oct 09, 2014). B. Chassaing et al., Dietary emulsifiers impact the mouse gut microbiota promoting colitis and metabolic syndrome. Nature 519, 92 (Mar 05, 2015). Y. Chen, M. J. Blaser, Helicobacter pylori colonization is inversely associated with childhood asthma. The Journal of infectious diseases 198, 553 (Aug 15, 2008). Y. Urita et al., Role of infected grandmothers in transmission of Helicobacter pylori to children in a Japanese rural town. Journal of paediatrics and child health 49, 394 (May, 2013). A. Gomez et al., Gut Microbiome of Coexisting BaAka Pygmies and Bantu Reflects Gradients of Traditional Subsistence Patterns. Cell reports 14, 2142 (Mar 08, 2016). M. J. Blaser, Helicobacter pylori and gastric diseases. BMJ (Clinical research ed.) 316, 1507 (May 16, 1998). M. Blaser. (Henry Holt and Co., New York, 2014), pp. 1-288. L. A. Hicks, T. H. Taylor, Jr., R. J. Hunkler, U.S. outpatient antibiotic prescribing, 2010. The New England journal of medicine 368, 1461 (Apr 11, 2013). J. S. Gerber et al., Variation in Antibiotic Prescribing Across a Pediatric Primary Care Network. Journal of the Pediatric Infectious Diseases Society 4, 297 (Dec, 2015). B. E. Jones et al., Variation in Outpatient Antibiotic Prescribing for Acute Respiratory Infections in the Veteran Population: A Cross-sectional Study. Annals of internal medicine 163, 73 (Jul 21, 2015). A. Ternhag, J. Hellman, More on U.S. outpatient antibiotic prescribing, 2010. The New England journal of medicine 369, 1175 (Sep 19, 2013). 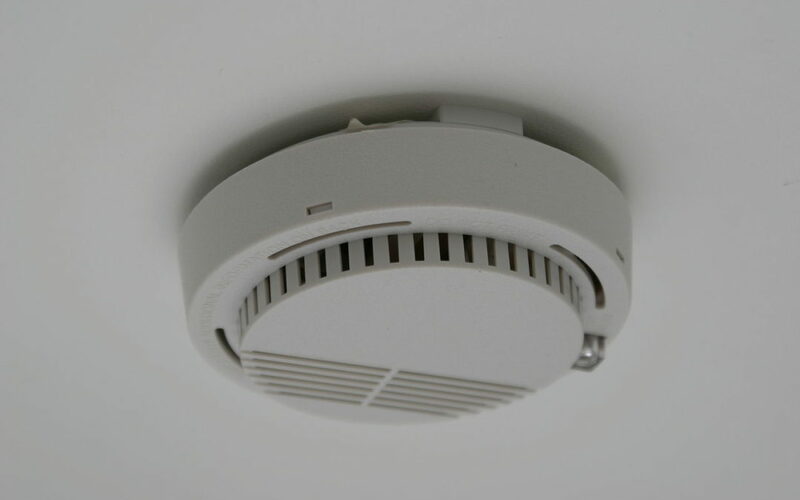 The new Op-Ed feature started last month with a piece by Joe Alcock, “Disabling the smoke detector in sepsis.” Our hope was that this feature would spark interest and contributions by more authors and so far we are off to a great start. Veterinary pathologist Edmund LeGrand has volunteered the following piece which examines, from an adaptationist viewpoint, the intriguing question as to why the human heart has such limited powers of post-infarction regeneration. We’d like to thank both Ed and Joe for their contributions and remind readers that we are open to contributions from anyone. We also want to encourage commentary on all of our Op-Ed pieces; please feel free to submit contributions and comments for approval to editor@evmedreview.com. The ability to regrow an arm, a leg, or another large portion of the body that has been amputated is a more widespread trait than you might think. Invertebrates like sea stars and flatworms can replace most of their body parts after removal, but even some vertebrates have impressive regenerative abilities. Lizards regenerate their tails, newts can regrow limbs and repair parts of the eye, and zebrafish can regrow fins and repair other tissues like the heart. Mammals, however, are pretty limited in this realm of regrowth. Humans can regrow muscle and liver tissue, but regenerative repair of other organs, including the heart, is extremely limited. Why might this be? Two recent papers are notable in addressing the question (1, 2). A few months ago, the editors of Evmedreview decided to open an Op-Ed feature and asked Joe Alcock if he would kick this new venture off by writing a series of op-ed articles, once a month. Thankfully, Joe agreed and this is the first article of the new Op-Ed feature. In a week or so this, and all future op-eds, will be moved to a dedicated Op-Ed page which can be easily accessed from the home page. We want to take this opportunity to thank Joe immensely for taking this on. The idea of the op-ed is that it should act as a target article for commentary – to spark a debate and exchange of thoughts and ideas. We want you all to volunteer comments! They can be constructively critical or complementary. Just email to editor@evmedreview.com and we will review them and post them! The pharmaceutical company was Eisai, a Japanese firm. The drug was eritoran, an investigational drug to treat sepsis, a condition that is the second leading cause of death among intensive care patients. By inhibiting inflammation in sepsis, eritoran was lauded as a potential blockbuster drug. It had shown great promise in reducing mortality in pre-clinical trials. In 2010 a phase II clinical trial of eritoran showed that it was apparently safe in humans, and the results also suggested lower mortality in those with severe sepsis. Eritoran was supposed to make the company millions, and the investors rich too. It did not work out that way. In 2013, JAMA published the results of the final phase 3 clinical trial necessary for FDA approval of eritoran. This was the ACCESS trial, a randomized controlled trial involving 1961 patients with sepsis assigned to eritoran versus placebo. Unfortunately for Eisai and its investors, eritoran did not improve survival at 28 days and at 1 year. The drug never made it to market, and it joined an impressive and growing list of failed drugs for sepsis. Was this just another failed pharmaceutical R&D venture? Or was this result predictable with a little knowledge of evolutionary medicine?